Lapointe, Pierre Louis. "Dorval". The Canadian Encyclopedia, 04 March 2015, Historica Canada. https://www.thecanadianencyclopedia.ca/en/article/dorval. Accessed 19 April 2019. 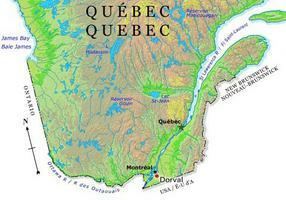 Dorval was a farming community and a resort area until the outset of the Second World War. In 1941 it became the home of the FERRY COMMAND and of a military airport, today's Montréal International Airport. After the war, this airport was an economic magnet. Dorval, Qué, City, pop 18 088 (2006c), 17 706 (2001c), inc 1956. Dorval is known as the site of the Montréal International Airport. 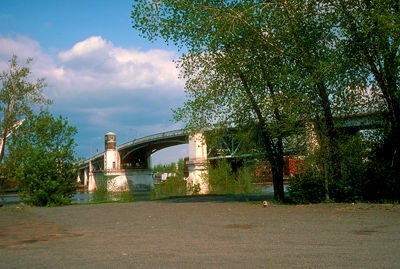 A member of the Montreal Urban Community, the city stretches along Lac Saint-Louis between Pointe-Claire to the west and Lachine to the east. It is about 15 km west of downtown Montréal. Dorval's history dates back to the 1680s when Sulpician priests established the mission Fort Gentilly (later known as Fort La Présentation). The city owes its name to Jean-Baptiste Bouchard d'Orval (circa 1658-1724), a fur trader and voyageur who bought land in Fort Gentilly. In 1892 Dorval was incorporated as a village and soon after (1903) as a town. Dorval was a farming community and a resort area until the outset of the Second World War. In 1941 it became the home of the Ferry Command and of a military airport, today's Montréal International Airport. After the war, this airport was an economic magnet. Two industrial parks, in the northern part of the city, have attracted aircraft, electronic, pharmaceutical and printing establishments. This diversified economy has not jeopardized Dorval's quality of life, its green spaces and its claim to be called "The City on the Lake."